YouTube Music Livestreaming Radio What can nature do for us? There is an increasing focus on the natural world’s role in underpinning the systems humanity depends on. Yet many of the natural systems humanity relies on are under threat: half of the top ten risks in terms of impact identified by the World Economic Forum’s Global Risks Report 2019 are environmental risks. At this event, livestreamed from the World Economic Forum’s Annual Meeting in Davos, a distinguished panel of business leaders, academics and conservation practitioners will share their insights into nature’s contributions to sustainability, business, health, equality, justice and climate change mitigation and adaptation. 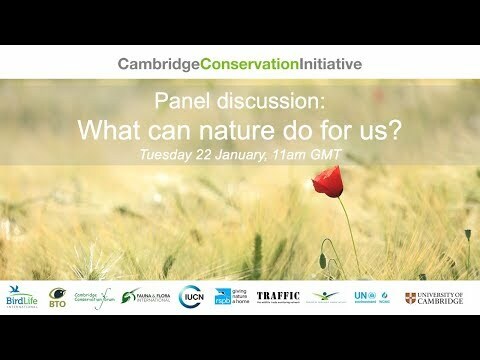 The discussion will illustrate the extent to which nature is key to the delivery of the whole set of the UN’s Sustainable Development Goals, and stimulate conversation on the role that business can play in developing nature-based solutions that reverse the loss of biodiversity at scale.